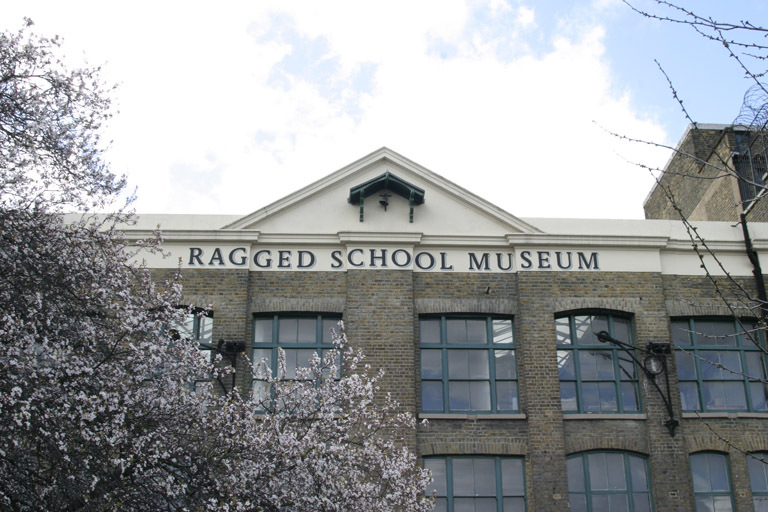 “How did an American from Wisconsin end up being an intern at the Ragged School Museum? My University, the University of Wisconsin-Stevens Point (UWSP), offers an amazing study abroad program that allows participants to take on an internship in conjunction with taking classes at the University of London Birkbeck. It is an opportunity that a history major in Wisconsin finds too tempting to pass up. That is what drew me to this program so intensely and the internship agency quickly found the Ragged School Museum for me. I’ll admit that I was quite sceptical at first because I had never heard of this museum before and I was hoping to work in a larger museum setting. But after my interview with Daniella (one of the lovely Museum Education Officers) I decided to give this museum a chance. After all, how could I judge something that I had yet to see and experience? My first week was spent educating me on this museum and for all it stood for: The Ragged School system, Dr. Thomas Barnardo, and Victorian life. I have learned that while the Ragged Schools existed for a limited time it had an incredible impact on many people. The volunteers here are passionate when it comes to educating the visitors about the work of Thomas Barnardo and I love that. When people are interested in a specific person, event, or thing in history that most people do not know about there is no better feeling for a historian to educate them. I was lucky to be here when they began planning for their October half term event which consists of two days of free family activities. 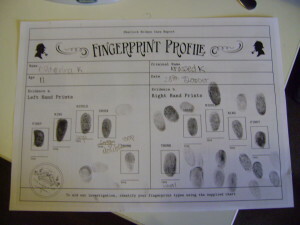 The theme this year was Sherlock Holmes and I was assigned to make a trail that would take visitors around the museum which would encourage them to read the museum displays. The activities for the half term also shaped up really well. The museum receives no public funding and it is great to learn what it is like to work in a self-sufficient environment as the activities had to be quite simple. 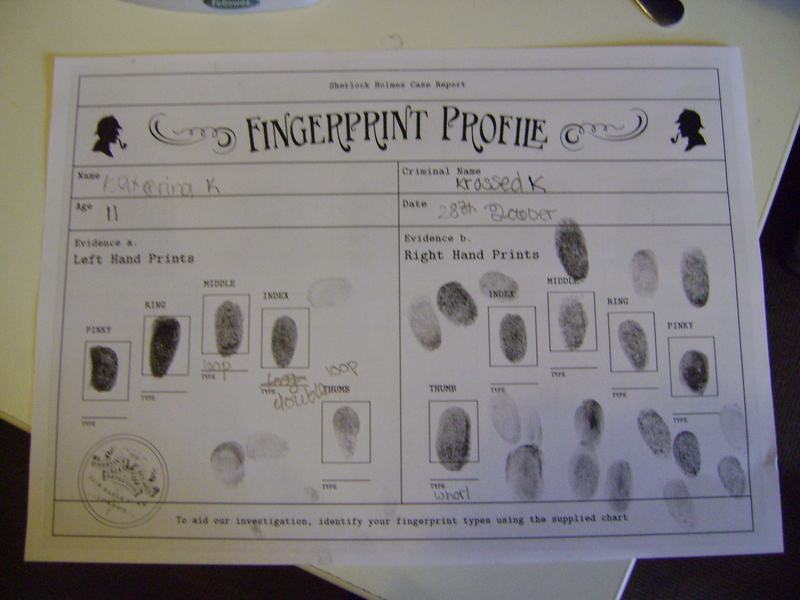 Inspired by Arthur Conan Doyle they consisted of making a Deerstalker hat, making a Hound of Baskervilles mask from a paper plate, a Caesar’s Wheel activity, a Dinosaur flipbook, and a fingerprinting investigation activity. I was put on the task of creating the Caesar’s Wheel activity and I admit I had no idea of what they were. Thanks to Google I was able to figure it out. 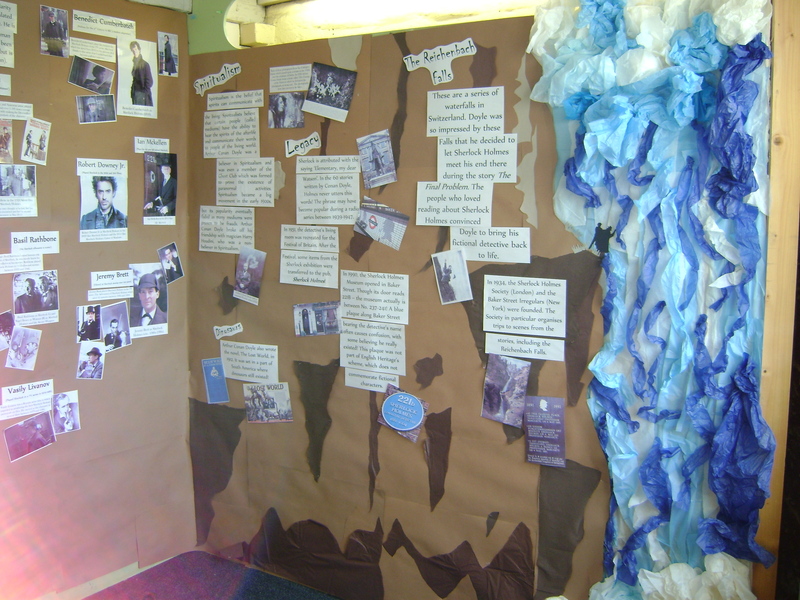 With “A Study in Sherlock” as the theme I helped Jennie (the other amazing Education Officer) and Danie with make a display featuring loads of information and pictures about Arthur Conan Doyle, character profiles on Sherlock and Watson, and actors who’ve played these key parts. Much to the ire of my friends back at home (who are Sherlock nuts) I got to spend days looking at pictures of Benedict Cumberbatch. But that also meant many hours spent printing them off, putting them through a frustratingly slow laminating machine, and sitting on the floor with a cutting board. It was slow work, but I knew that if I wasn’t down on the floor cutting Benedict Cumberbatch’s white outlines out, Danie or Jennie would be (they also have to look after the schools programme). A couple of weeks previously I had sorted 4000 leaflets into piles of ten – tedious work which is normally completed by the museum’s Learning team and volunteers. Everything we put on display for half term we made ourselves and all the leaflets sent out to schools and local organisations to promote the event were sorted by us. This is a very self reliant museum. But the week was soon upon us and thanks to a wonderful team of volunteers I have to say that it couldn’t have gone better! The hound masks were a huge success and the trail actually worked! I was quite worried that perhaps it may be too difficult for some younger children to complete the trail, but they all seemed to get it! It was nice to see them read the displays and explore around the museum with their parents. Since I’ve started interning here I think I have gotten much better at handling children. I used to be so awkward around them because I did not know how to talk to them, but it has gotten easier. I also came to realize how great it is that our museum offers these programs for free since many parents who came seemed a bit nervous that they might have to pay a fee, but once someone told them that wasn’t the case they quickly relaxed and had a nice time. 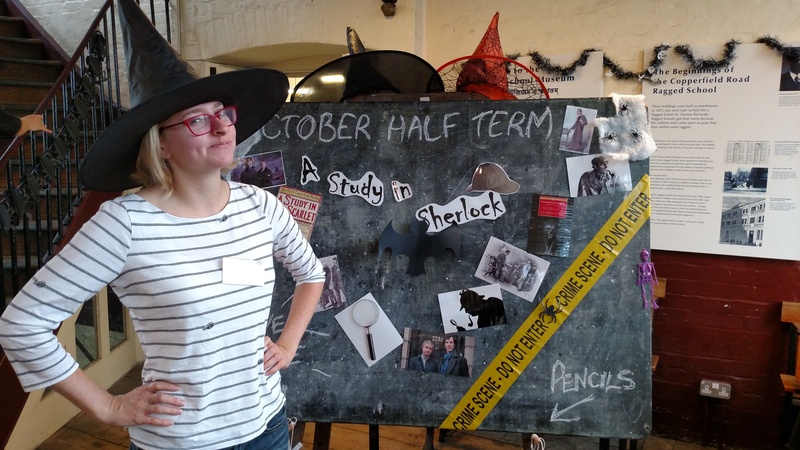 On the final day of our half term activities the lovely learning officer, Jennie, dressed up as a Victorian school teacher and did not stop once to take a break! I couldn’t believe it! I got so exhausted just welcoming visitors. To add even more to it all a group of 50 children arrived just before my lunch and I feared I would never eat (and you don’t want to see me when I’m hangry!) But some of the incredible volunteers returned from their lunch and covered me. Once I returned, I found that all the volunteers were handling the visitors marvellously. When the last of the visitors left the building Jennie collapsed into a chair and we both sighed a breath of relief. Even with all that stress the half term was a big success! Over 500 visitors in two days! 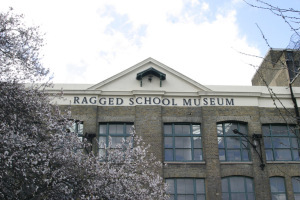 While that may be the amount of people who enter London’s national museums in less than an hour, for the Ragged School Museum it’s a huge accomplishment. Working in such a small museum off the beaten path gives you plenty of lessons you would not have learned if you worked in a large museum in the centre of London. What is so wonderful about the small museum setting is the great relationships you build with your co-workers and the ability to work on various tasks. One day I do simple tasks, another I research for the developing Key Stage 3 programme, and the next I’m giving presentations to children about home life for the Victorians. By doing all these tasks I’ve learned a bit more about the museum sector, but I have learned even more about myself (as cliché as that sounds). I have realized that perhaps I don’t want to simply sit behind a desk in the back of the museum, like I originally thought, but I would rather be working with people and school groups. 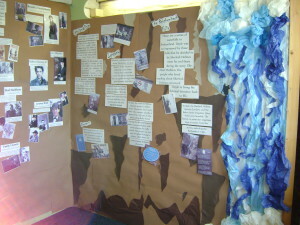 Maybe I would want to work with older children in the future and become a history teacher rather than work in museums. I have realized I love the look on a person’s face when they learn some small, fascinating bit of history they did not know before and that to me may be the key in deciding where my future goes.